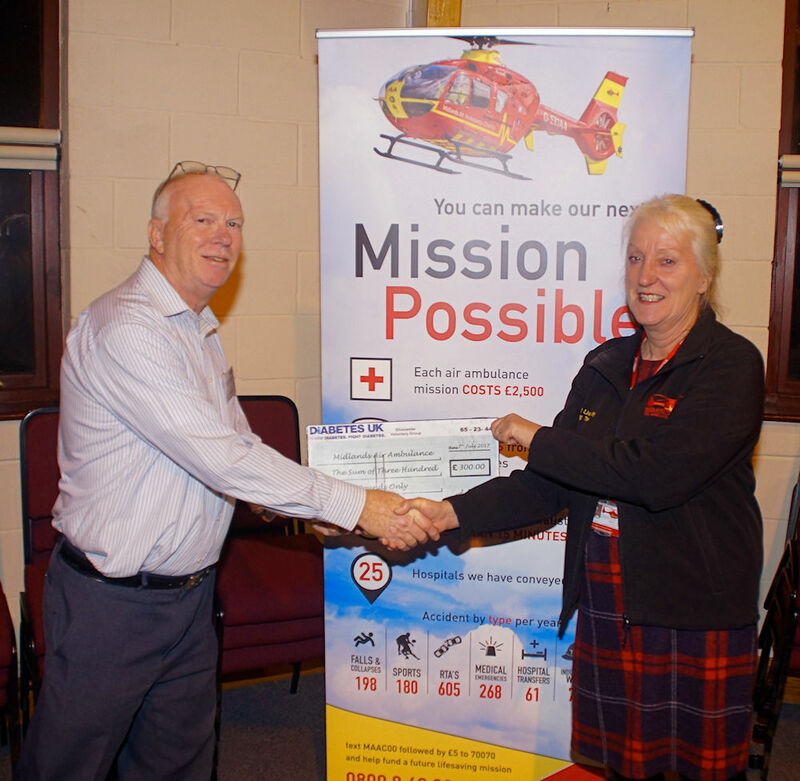 For our October meeting we were very pleased to have Mary Seldon, the Regional Fund Raising Manager, from the Midland Air Ambulance Service come and give us a talk on their activities. Mary explained a little about the history, saying that the air ambulance service, called Air 5, was formed in May 1991 at Hagley Hall in Worcestershire, with one helicopter. It subsequently changed its name to County Air Ambulance on a move to RAF Cosford as its base, and in 2009 became the Midland Air Ambulance Service. She went on to state that it now operates three EC135 helicopters, one each based at RAF Cosford, Strensham Services (on the M5) and at Tatenhill in Staffordshire. They now cover and area including the West Midlands, Shropshire, Staffordshire, Hereford & Worcestershire and Gloucestershire. This enables them to respond to an incident within eight minutes anywhere in the areas covered. Mary explained that they operate 365 days a year and it costs in excess £9 million pounds a year to run. All this has to be raised by donations as they receive no government or NHS support. 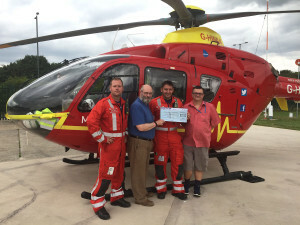 They fly an average of six missions a day and recent incidents have included a cyclist involved in a collision, two men involved in a light aircraft crash, a woman involved in a crash between a lorry and a car and a pedestrian hit by a lorry. All of them being flown to the nearest appropriate hospital to receive treatment. As part of the Groups programme of supporting diabetes related issues, we have donated £300 to the Midlands Air Ambulance for the purchase of diabetes testing metres and strips, these being part of the standard medical kit carried by the helicopters. Mary gratefully accepted a cheque from Mike Coombs and thanked the Group for their generosity.